SD Omagh inbound with an (as yet unknown?) Severn Class RNLI lifeboat on trials 10 September 2008. 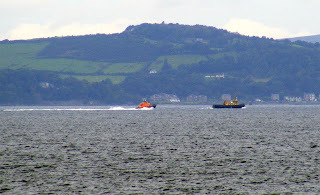 The lifeboat spent some hours "motoring" around!